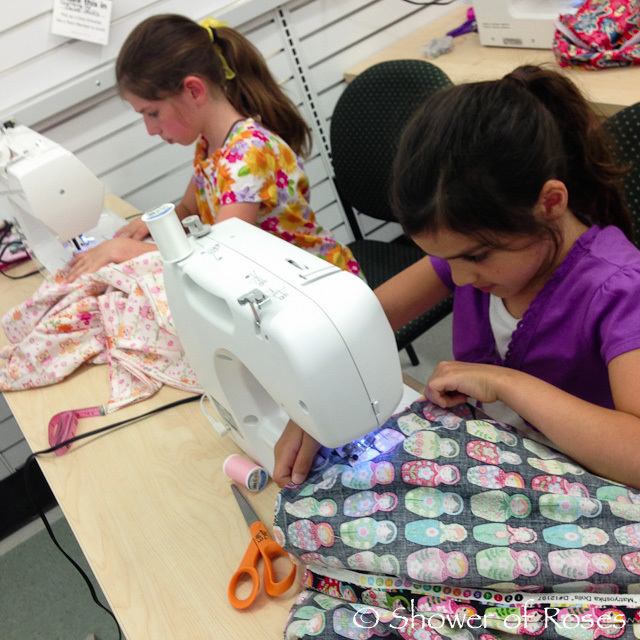 Today our oldest two girls had their very first sewing class! 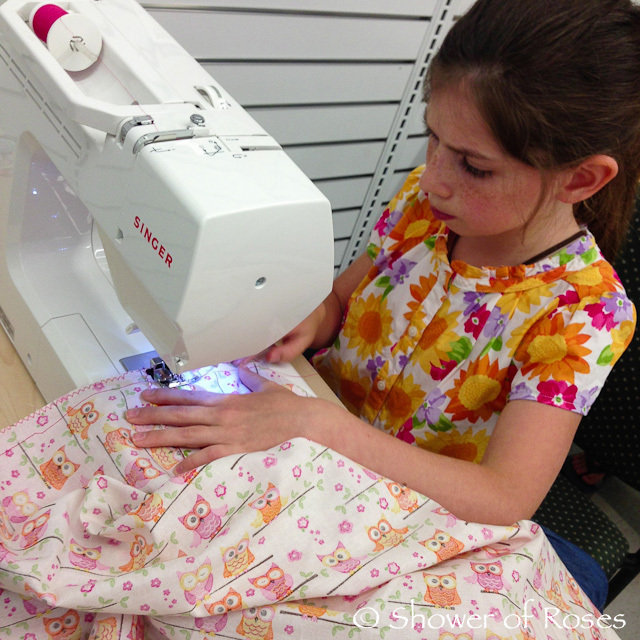 Twinkle Toes has been wanting to learn to sew for awhile now. I had actually signed them up to take this "Headtime Story" class at JoAnn's back in June (inspired by Charlotte's girls), but had to reschedule it when we decided to go to Catholic Family Camp since it fell on the same weekend. The class normally costs $35 for each child, but Joann's often runs specials on their classes and I was able to sign them up during a 50% off sale so both the girls were able to take class for the price of one. They also had to bring their own fabric, pins, scissors, etc, but our local store also provided us with some 40% off coupons which we could use in addition to the regular weekly coupons which really helped make it a little more affordable for us. 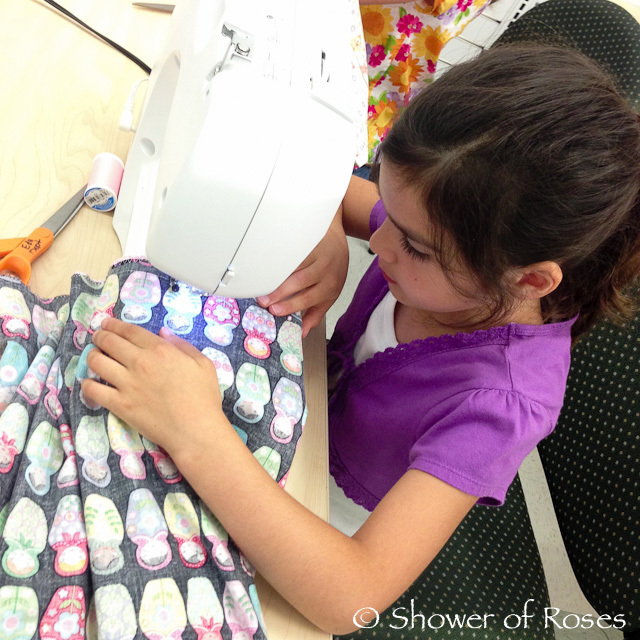 We had so much fun searching for fabric and the patterns the girls decided on are just dreamy, don't you think?! 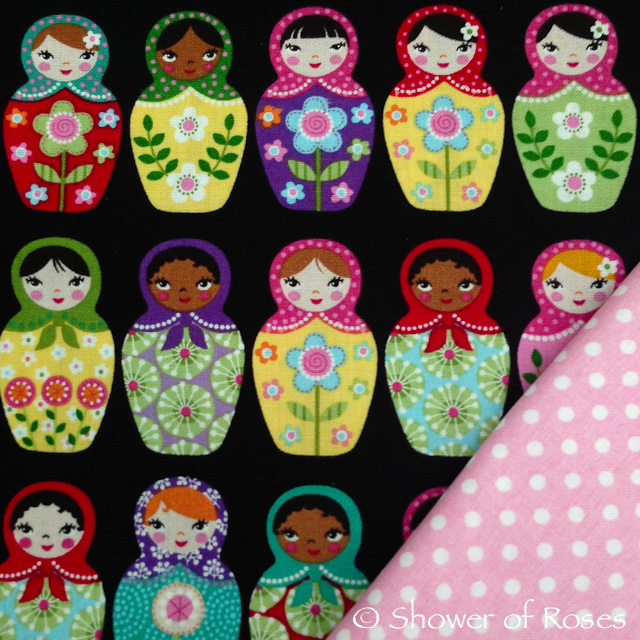 Chiquita fell in love with this Matryoshka Fabric the minute she first saw it last month, the day we signed up for the classes. We found some soft pink polka dot fabric to coordinate and she was set. Finding fabric for Twinkle Toes was a little more challenging. 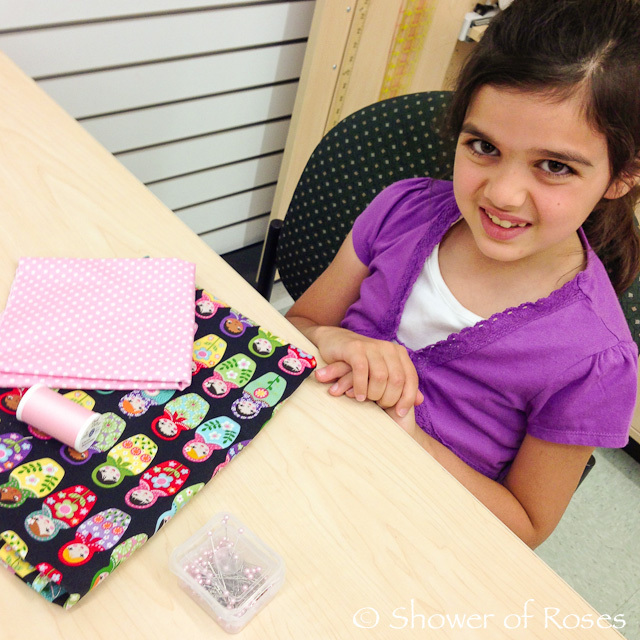 At first she was drawn to a variety of fabrics (Hello Kitty, kitty cats, owls, flowers, and more) but wasn't able to make a decision. 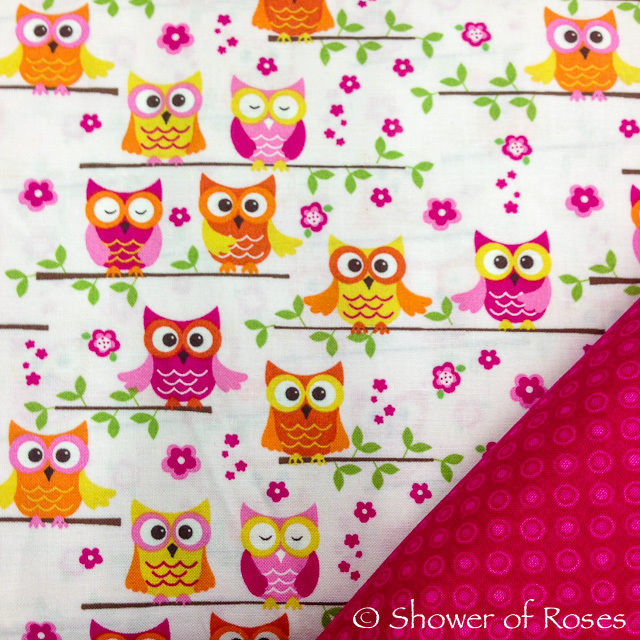 (The poor girl gets her inability to make quick decisions and procrastination tendencies from me...) Anyways, we arrived at the store early today to continue our search and were so happy to find this lovely owl fabric with pretty pink flowers. Perfect! 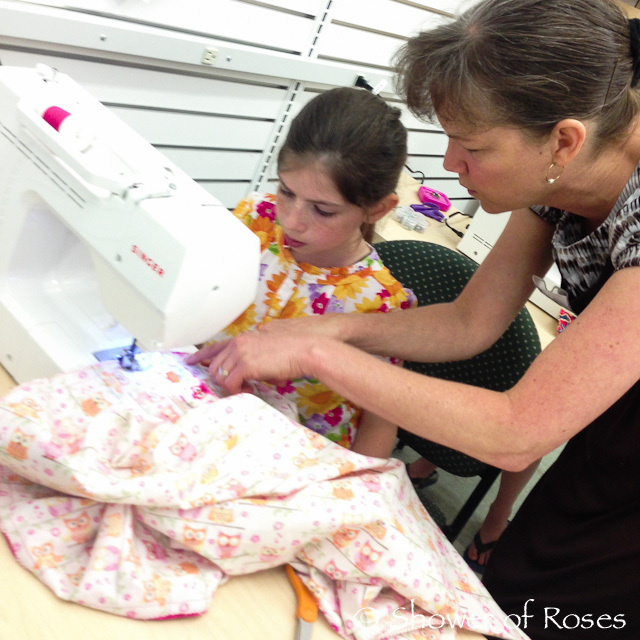 Peggy was an excellent instructor and the girls learned so much during the three hour class! 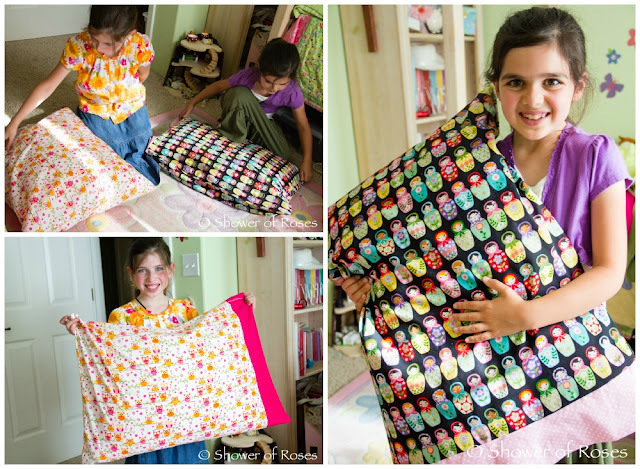 I was so impressed with how great the pillowcases turned out and the girls couldn't wait to try them out just as soon as we arrived home. I am looking forward to signing them up for another class soon! In fact, JoAnn's is having a "Buy 1 Class, Get 1 Free!" sale July 19-21. I'm jotting it down on my calendar now! 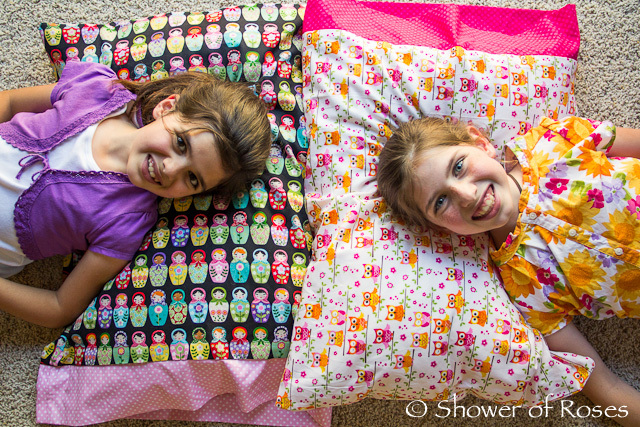 lovely pillow cases and girls! maybe they can start teaching mom. ;) i learned from my eldest daughter. They did a great job! I love the fabric Chiquita selected. Their pillow cases turned out so cute! I think my daughter would also love a class like that, I'm going to check out if my local JoAnn's offers them! I never realized that Joann had kids sewing classes. I will have to keep an eye out for that. 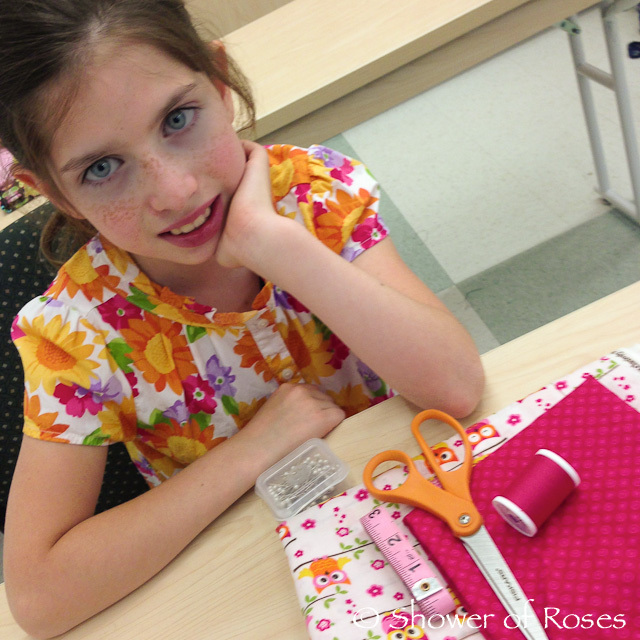 Mary Catherine really wants to learn to sew. I have taught her how to handsew and she is getting pretty good, but honestly I taught myself how to machine sew so I would rather her learn from someone who actually knows what she is doing. Thanks for the info. The pillowcases are adorable. We haven't had JoAnn here for very long (in the past the closest was 35 minutes away, now it's about 15) and I was so excited when I saw the signs advertising the classes! It is just what I've been needing to get us jumpstarted on sewing. Occasionally they also offer Mother/Daughter classes as well, and I'd love to take one of those with the girls too! 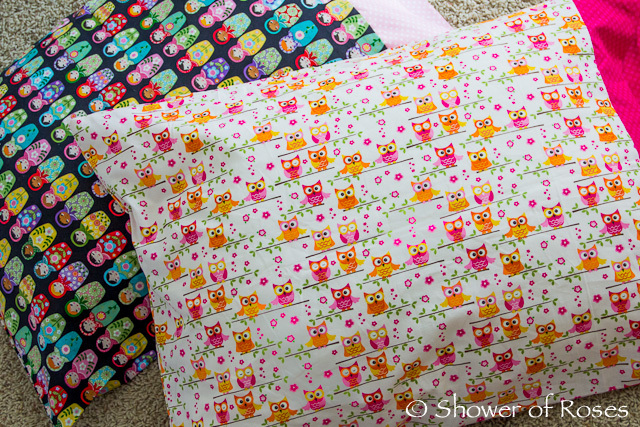 So sweet, my oldest daughter loves to make pillowcases! She made the whole family pillowcases for Christmas last year. Each pillowcase was something the family member loved, spiderman, little pony, trains, and so on. Love the girls' pillowcases. They turned out beautifully. We only have one Joann's anywhere near us (30 minutes away), but they do not offer any classes at all. They say only the larger stores offer them. So happy your girls were able to take part! Oh... That is too bad... I didn't realize that our store is one of the larger stores! 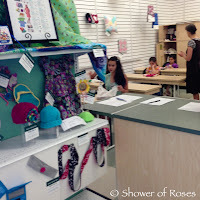 The ladies here were all so great and very willing to continue classes during the school year, even during the day for homeschoolers, if there is enough interest. Wonderful fabrics and what a great idea to take sewing classes! Hoping to teach my granddaughters to sew when they're a little bit older. I love them! I'll have to look into this at our local store - my daughter loves to sew and just bought a bunch of fat quarters to make her American Girl doll a quilt. She's got the basics down but would love to learn new skills. Hi Jessica! I've been following your blog for a few years now and absolutely love it! Thank you for sharing your life with us! What lovely projects! Their fabric choices are so pretty. Your girls must be so pleased with their accomplishments. It's wonderful that they are learning to enjoy working with their hands, and so young. Great job, girls! It is on the back of the current "July & August 2013 Class Catalog" that I picked up in the store. :) It will probably show up on the app as soon as it is listing the coupons for that week. It is also currently listing 50% off on Kids' Camp Classes on June 22 & 23 as well as 50% off selected classes the week of June 30-July 6. (The classes don't actually have to be taken on those days, you just sign up and pay for them during the sale.) Hope that helps!